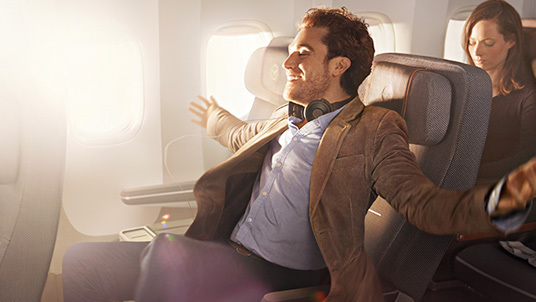 With Premium Economy Class Lufthansa will be offering you a new travel experience between Business Class and Economy Class on long-haul flights. Whether you are travelling for business or pleasure, you will enjoy personal space, more service and more extras. So you’ll be able to enjoy a thoroughly relaxing journey – both on the ground and on board.